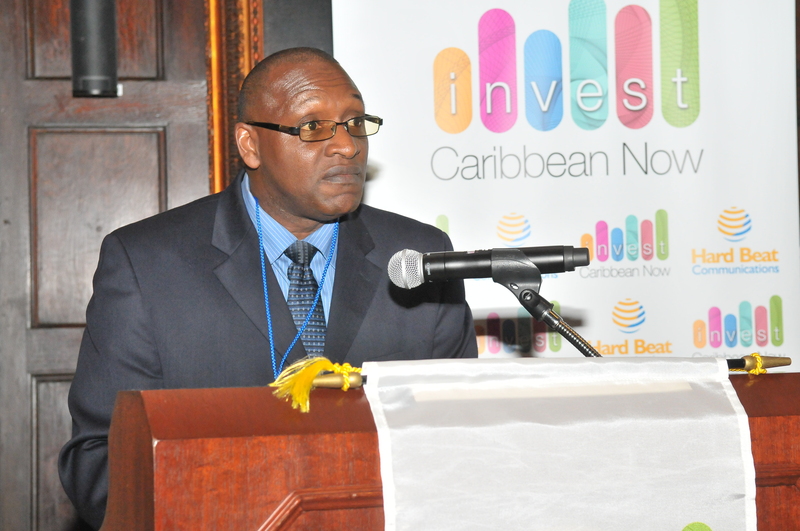 News Americas, NEW YORK, NY, Fri. June 6, 2014: The Caribbean region can become the best investment zone in the 21st century and the ‘Investment Paradise of the World by the year 2034′ if it follows a “VCS” road map, a Caribbean scholar says. Antigua-born graduate of Harvard, Princeton and Colombia universities, Dr. Isaac Newton, delivering keynote remarks to delegates at Invest Now 2014 on Wednesday, said the region must create the right strategic Vision, foster the right investment Climate and cultivate the right Spirit of investment. The strategic vision he said should draw on the rich Caribbean culture while emphasizing flawless regulatory practices and balancing investment returns with protecting the region’s natural habitat. He said the Vision should be carefully designed within a collaboratively and culturally tailored model that supports each island’s development but which focuses on emphasize flawless regulatory practices, improving the quality of life of the region’s people, and supports each island’s development. Dr. Newton said this strategic vision should require that business and government leaders ACT in harmony within a specific timeline. “Leaders should project that by the year 2034, the Caribbean will capture at least 35 percent of the global investment market, 60 percent of the Diaspora investment market, and 75 percent of the local market share,” Dr. Newton said. “This means that the Caribbean’s infrastructure should expand and improve by 55 percent to support this unrelenting growth,” he added. The Caribbean also needs the right investment Climate he said, that is a healthy mix between the public interest, which desires high quality infrastructure at low cost and investor interest, which seeks a profitable return on their investment should enhance the investment ethos. And most of all it needs to do this in a Spirit of wooing. “It is simply not enough to establish investment authorities,” said Dr. Newton. “We have to ask and answer: What infectious enticements would today’s investors need to invest in the Caribbean? Are specific incentives – such as tax holidays, timely court arbitrations and private dispute resolutions, duty free imports, creditor protection laws as in the case of Lithuania which increases bank lending by 27 % percent the best allurements? See photos from Invest Caribbean Now 2014 here. Invest Caribbean Now was founded in 2011 by Felicia J. Persaud, CMO at Hard Beat Communications. Among the top list of delegates in attendance at ICN 2014 were Dr. Ma Lin, Deputy Secretary-General of the Beijing Municipal Government; Premier of the island of Nevis; Vance Amory; Minister of Trade, Industry, Investment and Communications of Trinidad & Tobago, Senator Vasant Bharath; Minister of Tourism And International Transport, St. Kitts, Senator Ricky Skerritt; Minister of Tourism, St. Martin, Jeanne Rogers-Vanderpool; Chairman of the Caribbean Tourism Organization and Commissioner of Tourism, USVI Department of Tourism, Beverly Nicholson Doty; Chairman of the CARICOM Consular Corps of NY and Deputy Consul General, Antigua & Barbuda, Omyma David; Consul General of St. Lucia to New York, Julian DuBois; Claire McLeveighn, Vice President, Trade and Investment International Division, at the Empire State Development Corporation and Assemblyman Carmelo Garcia representing the 33rd District of Hoboken, Jersey City, Union City and Weehawken in New Jersey.